Epignosis - Kayode Afolabi's Musings: Becoming more analytical! Congratulations on the birth of your daughter, that is such a great, and life changing, event. 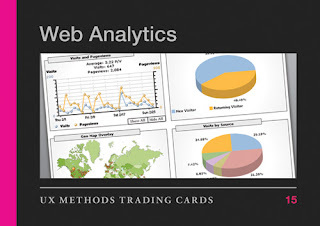 And of course welcome to the world of Web Analytics!! fifty years lolllll, its really nice you are carving a niche for yourself finally in something after all the dilly dallying. industrial chemistry......consultant.....economics.....businessman..... web analyst cool. proud of you boy. It looks as if it takes thirty years to fully discover identity. At least i have three and half years to go.